The cultural requirements of Jasmine (Jasminum polyanthum) are simple but exacting. When your plant arrives, put it in a cool room and set it in a window that receives bright light but little or no direct sun. Flowers will open and last longer with cooler home temperatures. 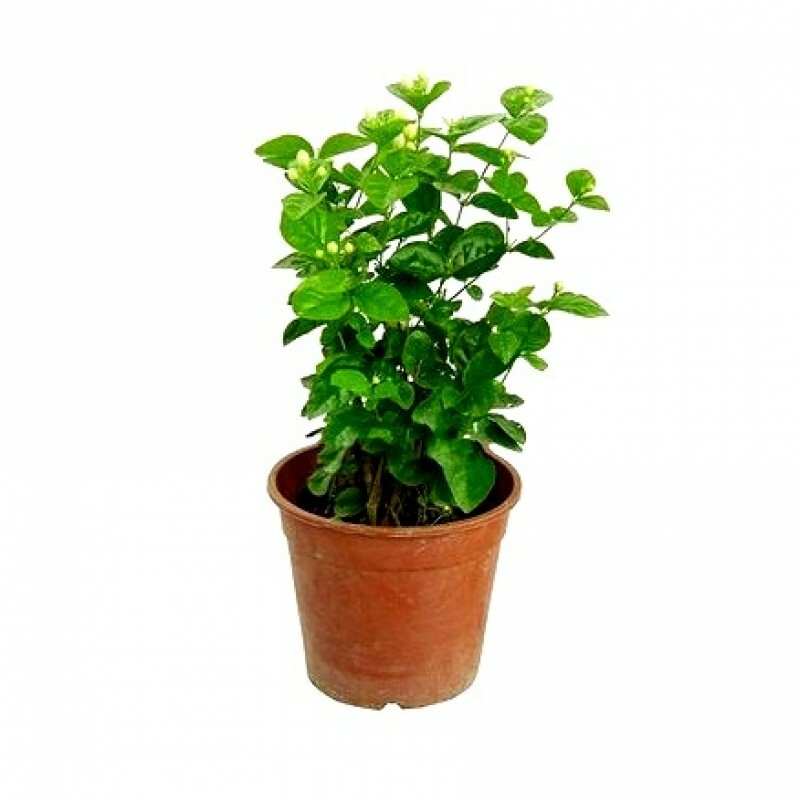 Water only when the top half inch of the potting mix is dry to the touch; Jasmine won't tolerate soggy potting mix. If these conditions are met, flowering generally begins in late January or early February. After bloom, give your plant at least 6 hours of direct sun and normal room temperatures. When the danger of frost has passed, we recommend that you set the plant outdoors for the summer, shifting it gradually from a shady spot to full sun. Fertilize every 2-4 weeks during the growing season -- generally from early spring to early fall. Withhold fertilizer entirely during fall and winter, when the plant is resting. Use a water-soluble fertilizer designed for houseplants mixed at just half the rate suggested by the manufacturer. As with watering, plants suffer if overfertilized. Prune as necessary to control size or to maintain shape, but stop pruning by August 1, because the plant sets flower buds in late summer.To encourage the formation of flower buds for next winter, be sure your plant experiences the cooler temperatures and shorter days of early autumn. The plant needs 4-5 weeks of nighttime temperatures between 40° and 50°F, plenty of sunlight, and the complete absence of artificial light after sundown. Bring the plant indoors before frost. Then give it cool temperatures and indirect light until it blooms again in late winter.